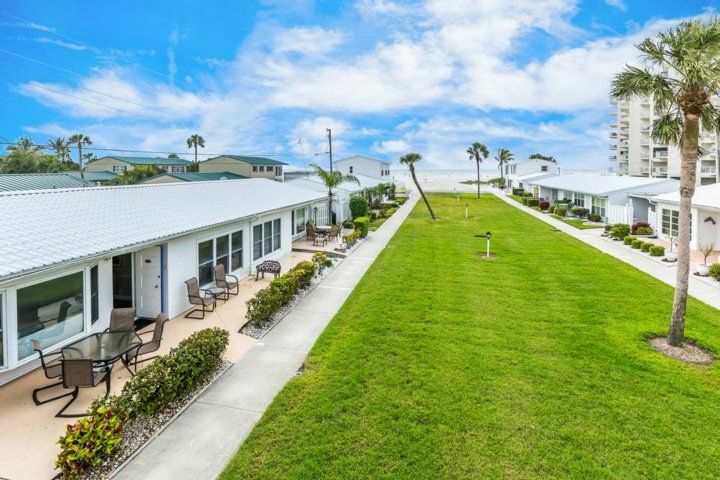 Imagine this: You step out your front door, and there, at the end of a walkway flanked by shrubbery on one side and an impeccably manicured lawn on the other, are the twinkling white sands of Crescent Beach and, just beyond, the sparkling Gulf of Mexico. Sounds amazing, doesn’t it? 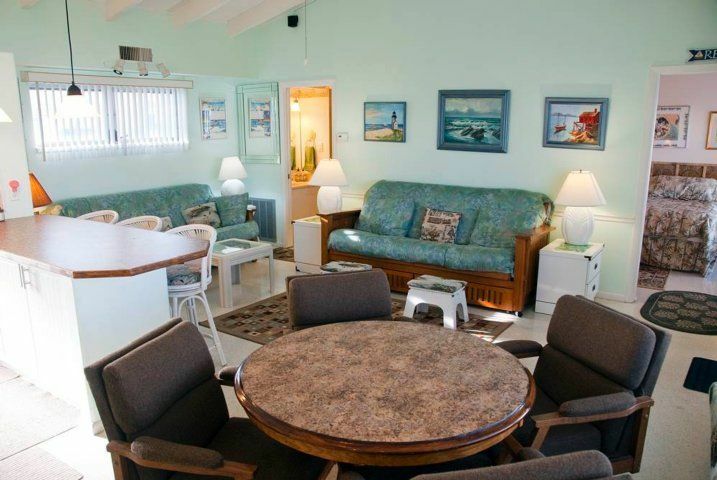 When you stay at Beachaven 52 you can do more than just imagine it; you can experience it for yourself. Please note, there is a 1-month minimum stay. 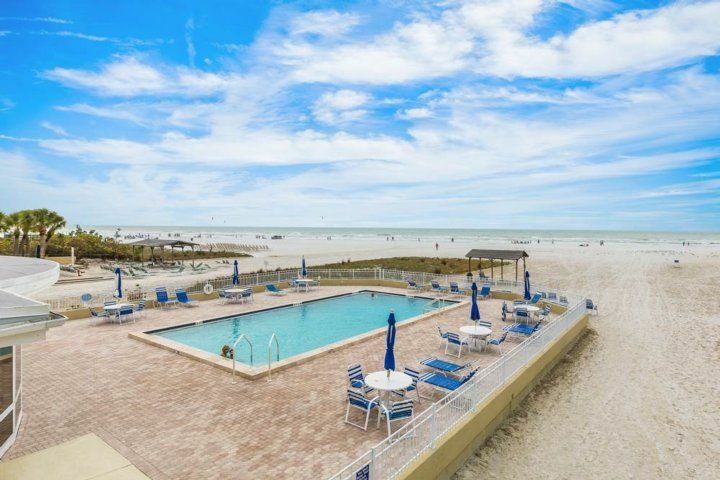 Beachaven 52 is a 1-bedroom villa, one of just 58 units that make up a beachfront condo complex on the barrier island of Siesta Key. 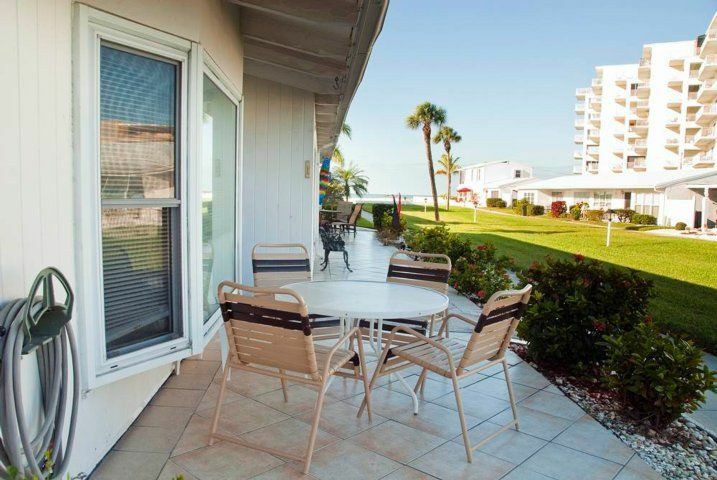 Because the condos are rented for a minimum of a 1-month stay, you’ll be able to strike up friendships with your neighbors while you’re here: by the heated beachside pool, in the clubhouse, or while savoring the fresh salt-tinged breeze from your patio. The villa itself is an absolute delight. The raftered cathedral ceiling, ample windows, and soothing color palette ensure that the recently refurbished living area never feels crowded, even when you’re entertaining family and friends. 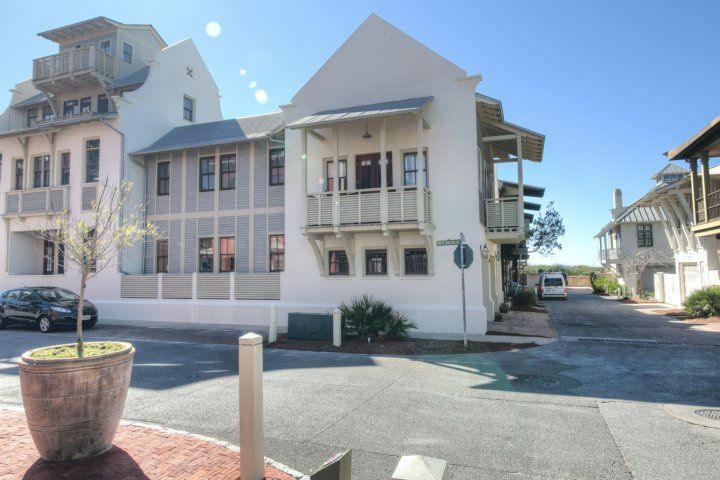 You can watch a movie on the large flat-screen TV with DVD player from the roomy armchairs, stretch out on one of the several sofas, or sit in one of the plush swivel chairs at the dining table to catch up on email courtesy of the free WiFi. 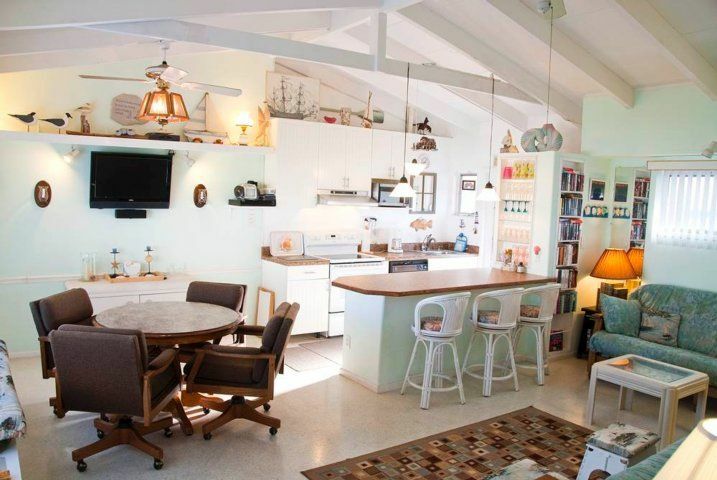 The dining table is just one space where you can enjoy your meals. 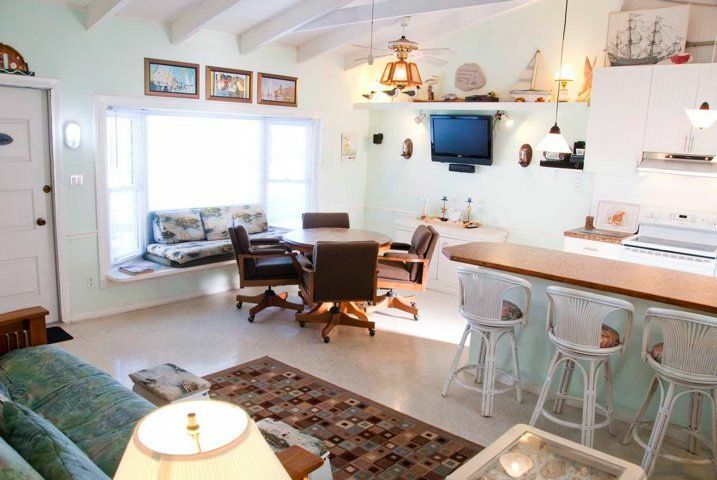 Beachaven 52 also has a breakfast bar that seats 3 and a patio table with room for at least 4 people. Looking out onto the lawn, the patio is an especially wonderful spot to start your day: Bring out your morning coffee and toast, sit back in one of the outdoor armchairs, and listen to the cheerful singing of sandpipers and ruddy turnstones as the breeze rustles through the palm trees—sheer bliss! 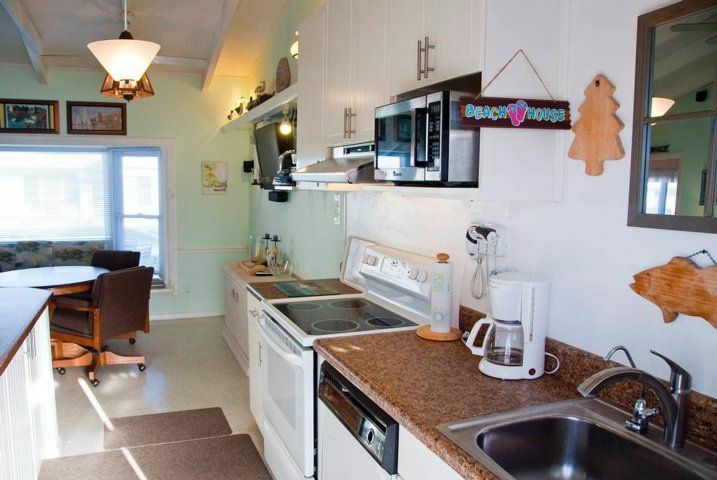 The open, well-lit kitchen is equipped with all the appliances, cookware, and tableware you’ll ever need, whether you intend to cook 3 square meals a day or do little more than reheat leftovers from your restaurant meals. Along the same lines, we’ll make sure you have clean towels and fresh bedding ready and waiting for you; no need to bring your own. 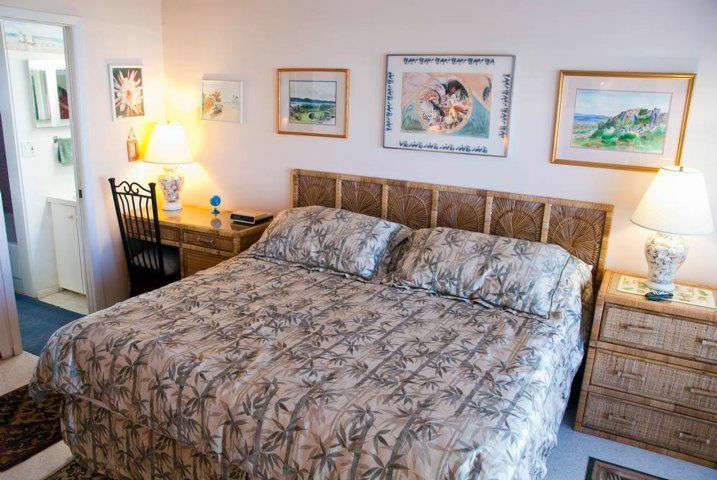 The bedroom is furnished in the same casual, comfortable fashion as the living area. 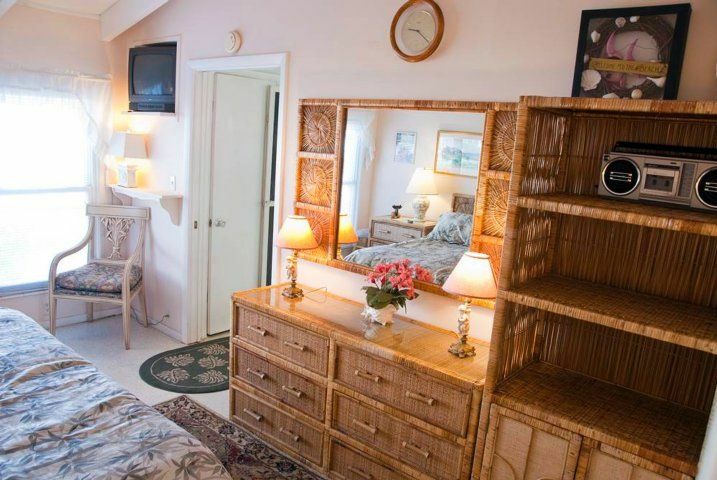 In addition to 2 twin beds that share a king-size headboard, the room includes a TV, a desk, and plenty of storage. 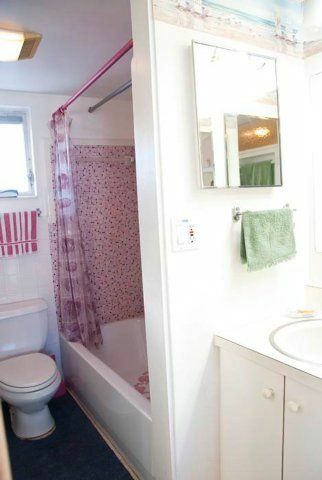 The bedroom has its own private bathroom, plus there’s a 2nd bathroom accessible from the living room. 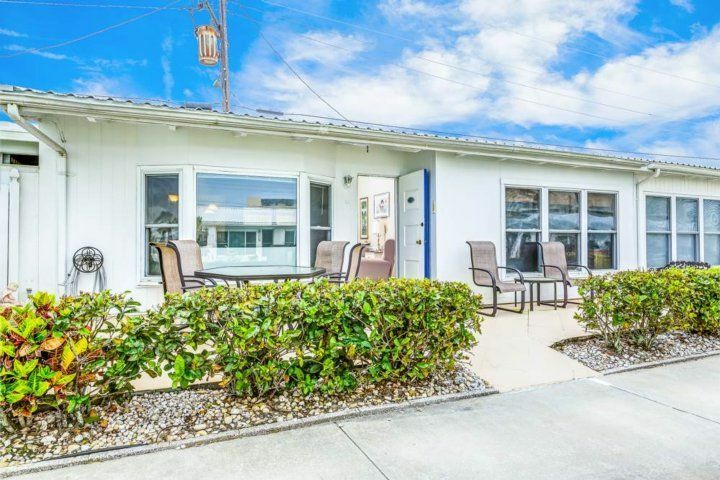 That 2nd bathroom will come in handy if you have overnight guests sleeping on the living room futons; all told, Beachaven 52 can sleep 4 people. 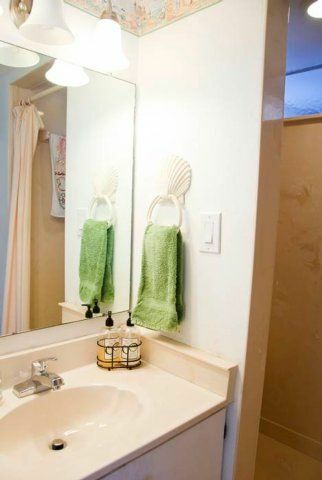 Pack light and use the full-size washer and dryer that is in the carport. 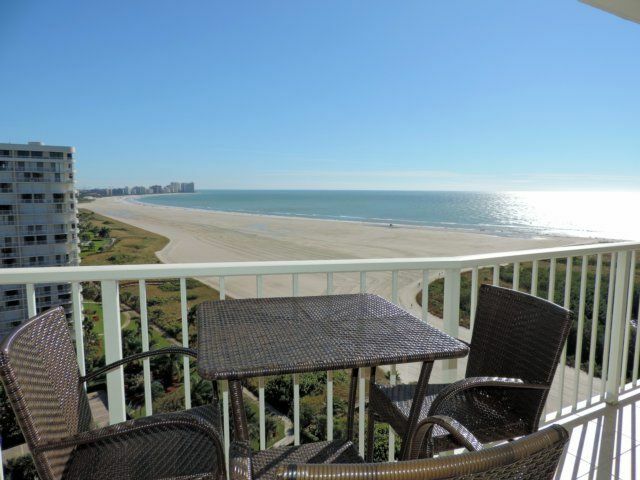 The toughest part of staying at Beachaven 52 is deciding how to spend your day. 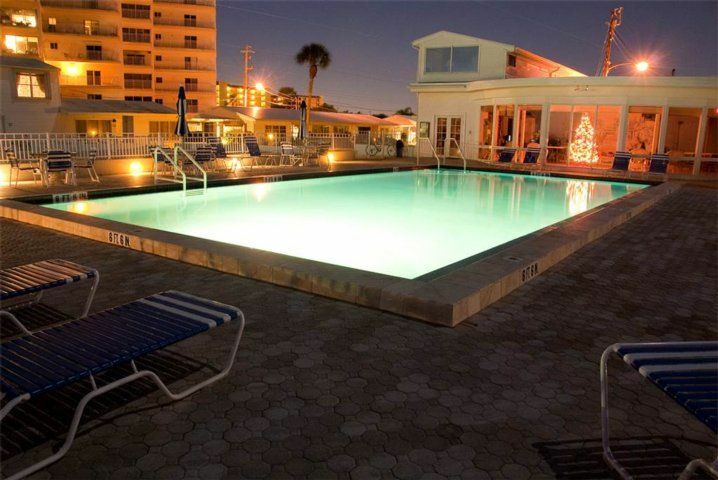 The spacious heated pool is great for swimming laps or splashing about if the gulf waters are too chilly. The poolside patio is as gorgeous as the beach surrounding it, with chaises for lounging in the sun and tables with umbrellas for cooling off in the shade. 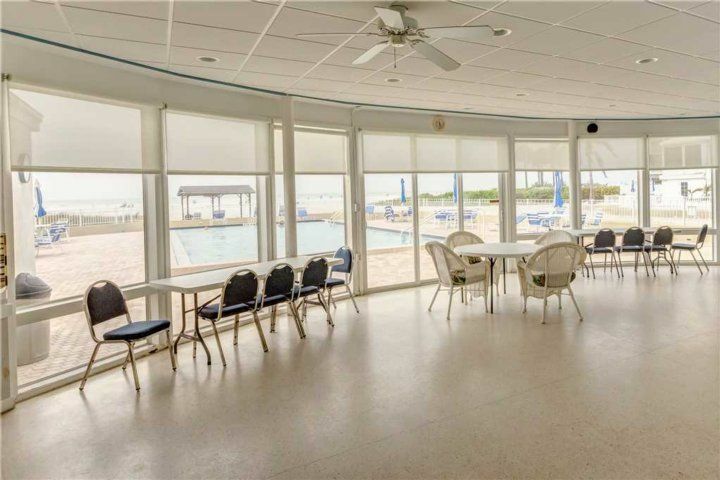 Speaking of cooling off, Beachaven’s clubhouse is a roomy retreat when you want a break from the heat or sunshine, or if you’re surprised by a sudden shower while by the pool. There’s a TV and free WiFi, plenty of seating, and tables where you can enjoy a snack or a card game. 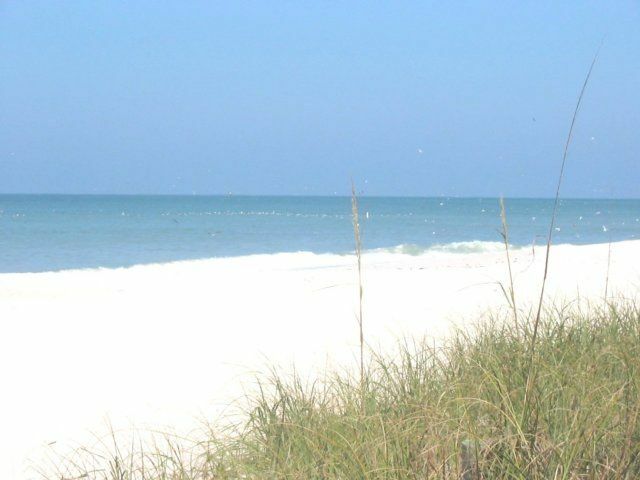 Of course, the main attraction is Crystal Beach itself. 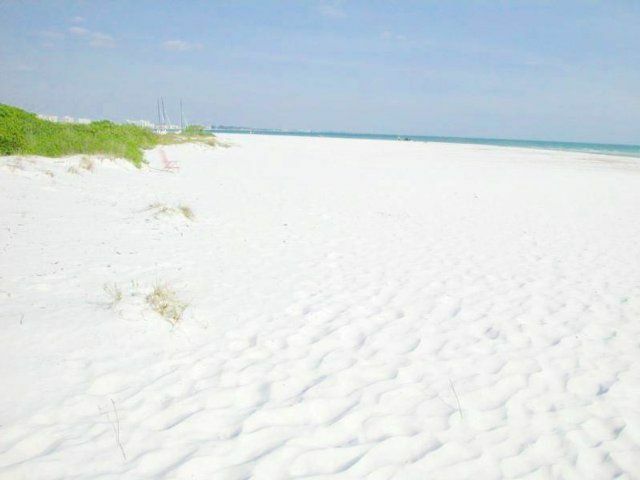 Once you step onto it, you’ll understand why it’s generally considered one of the country’s best beaches: The 99% pure quartz sand sparkles and stays cool underfoot no matter how hot the day. 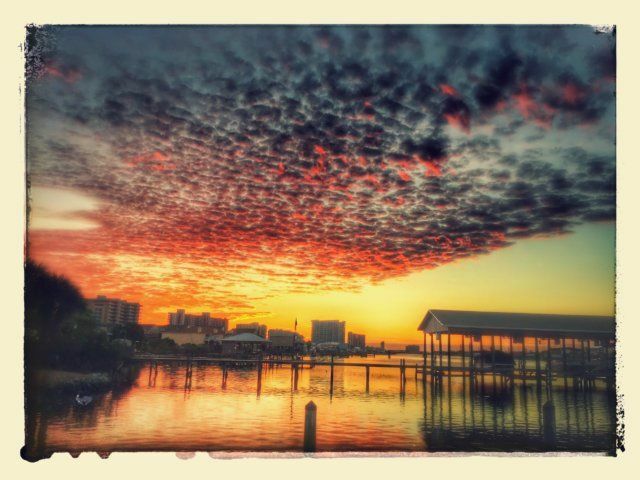 Because Beachaven 52 is mere steps away, you can come and go as you please: Head out first thing in the morning to search for shells and watch the dolphins cavort in the waves, return midday for a swim or a paddleboarding session, come back in time to admire the fiery sunset over the gulf. Beachhaven was almost perfect for me. 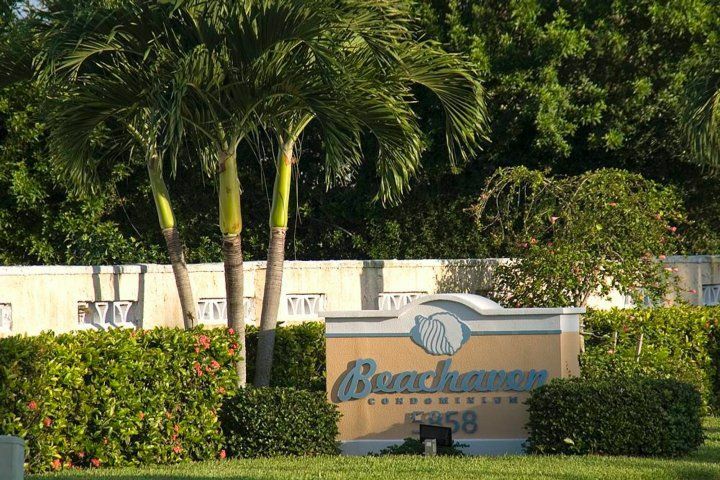 Beachaven is an upscale throwback, combining an "old Florida" environment with contemporary amenities. All units are walkout -- no stairs or elevators needed. The pool is unsurpassed -- right at the edge of the sand. 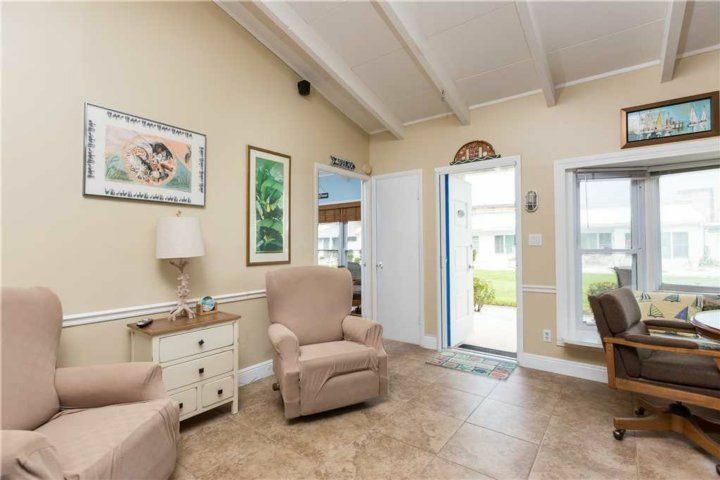 #52 i is one minute from the pool and another minute to the ocean waves. One downside: the condo owner dropped by (unannounced) four times to do exterior maintenance -- climbing on ladders above the windows and banging around in the garage. 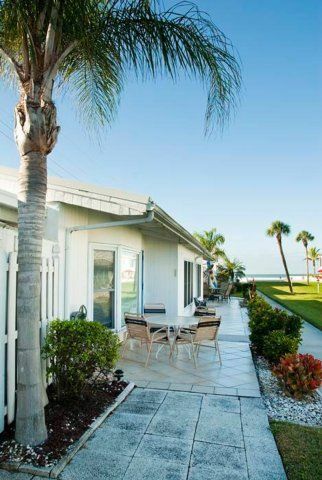 Still, this unit is the best price/value I've experienced in 15 years of vacationing at Siesta Key.